How we think about the performance measurement system in our own organisations affects the way we use it and the way we respond to it. In this blog I want to use the image of the body’s nervous system to think about performance. The intention is to help you think about performance measurement and management differently and I hope that will help you make changes to what you are doing. Future blogs will use different images and I hope those too will make you think again. Well it is an analogy I have used before, but it came up to in a conversation last week with my friend and colleague Prof Steve Melnyk at Michigan State University. We were debating the current state of practice in performance measurement and Steve brought up the nervous system analogy. “Can you live without a nervous system?” he asked. To which the answer is no you can’t. That is how important we believe performance measurement is to larger organisations. (Smaller organisms, such as amoeba, don’t need nervous systems, so there may be a level of SME that doesn’t, but this is extending the analogy further than I want to). There are also the ways in which performance measurement can help the implementation of strategy, which is what really caught my attention. 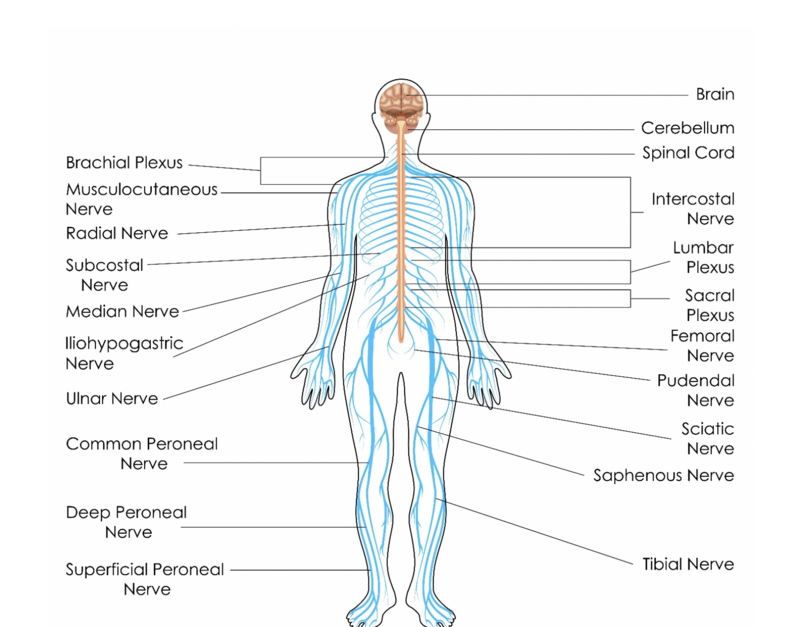 The nervous system is the link between the brain and the rest of the body. The motor function is the way instructions are transmitted to the rest of the body and I see that as the way strategy can be deployed in an organisation. But the bit we forget is that the nervous system transmits information two ways. It transmits instructions from the brain to the muscles but also information such as smell, feel and pain back to the brain. As for the body, an organisation implementing its strategy needs to send out guidance but it really needs to receive feedback on what is happening as well. In neurology people talk about sensing and interpreting, how often in our organisations do we sense but then fail to interpreted? I didn’t fully realise too that the brain in considered an integral part of the nervous system. My argument would be that in the world of organisations, we need to weave together the strategic intent with the implementation and into that the feedforward and feedback mechanisms incorporated into the performance measurement system. In organisations we build capability. Capability is built through practicing or using our process and practices in delivering things for the organisation. In this analogy, we call this “muscle memory”. This leads me on to the thought that the body doesn’t always do exactly what we want. It has to be trained and develop to create capabilities to perform at higher levels and in the corporate world we should think too about how we can encourage parts of the organisation to continuously improve. Further, there are involuntary reflexes, if you put your hand on a hot plate the body will react immediately. Parts of organisations will do that too and that can protect them from harm, but sometimes we want them to act differently and we can train them to do so as we can train the body. Finally, there are the conscious parts of the nervous system and the autonomic parts that ensure we keep breathing and our heart keeps beating. In organisations we also have mechanisms to ensure these basic and regular functions continue too, but if we miss treat the organisation these regular functions will get damaged as happens in our bodies when we don’t exercise or over indulge. What does your organisations nervous system look like? Is it attached to the brain? If the central nervous system works, does the peripheral nervous system perform as expected? Are you looking after your body and nervous system?